Sport Psychology: Secret Behind Korea’s Archery Success? Sport Psychology | Kim Youngsook has been Korea’s team psychologist for six years. Psychology and mental health are terms regularly thrown in the modern world, often with little context or understanding of the true meanings. Stress has a huge impact on performance, in life and in sport, and very few people feel pressure like world-class archers. 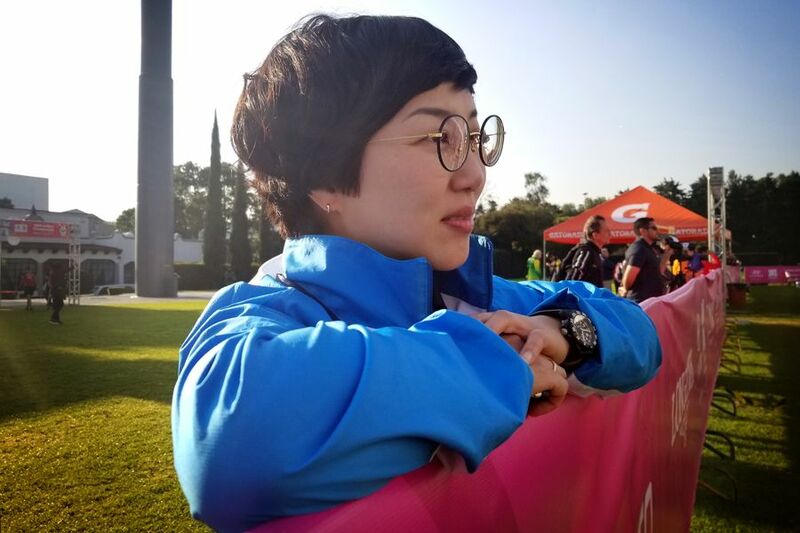 Kim Youngsook from the Korean Institute of Sports Science has spent the last six years as the sports psychologist for the Korean archery team, following them from strength to strength. Kim has coached the team through the Asian games, World Championships and an Olympic Games in Rio at which the squad took an historic four gold medals. She gave us an insight into her role and how she supports some of the most talented archery athletes the world has to offer. “When I’m there, it’s my job to provide sport psychology training so they can control their concentration, confidence, and manage anxiety,” Kim said. A calming presence around a group of world-class athletes that shoulder the pressure of having to maintain only the highest standards, Kim is aware of the acute mental awareness archery requires. “In other sports, sports psychology is typically only about 20 to 30 percent of performance. In archery, they say it’s probably closer to 80 percent. The real deciding factor of performance in archery is an archer’s mental strength and confidence,” Kim explained. It’s a sentiment often echoed by the archers themselves. In any interview, the athletes will mention how confidence played a role in their performance, whether winning or losing. Kim’s many years of experience with the team has enabled them to truly flourish. Through counselling methods as simple as breathing, positive self-talk, imagery and goal setting, Kim has been able to grow the confidence of this elite squad, slowly but steadily. Just important as performance, though, are the relationships formed. “The most important thing is building rapport with the athletes. If they didn’t trust me I wouldn’t have any influence, so gaining the archer’s trust and maintaining confidentiality is very important. My job is most rewarding when I see the archers are more and more comfortable,” she said. Kim’s role as psychologist is a key part of the mechanism that keeps the Korean archery team consistently on top. The psychological aspect of archery is invisible, but essential – especially when it comes to maintaining the elite standard of the sport in the modern world. Interview and additional content by Vanessa Lee.